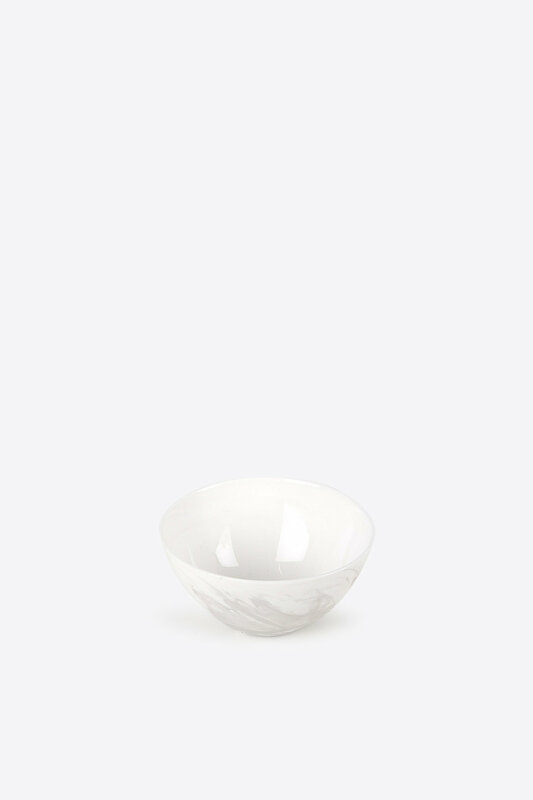 Crafted from a marbled porcelain that is durable despite its ever so delicate look, this bowl features a matte-finish exterior with a glazed interior and is foodsafe. 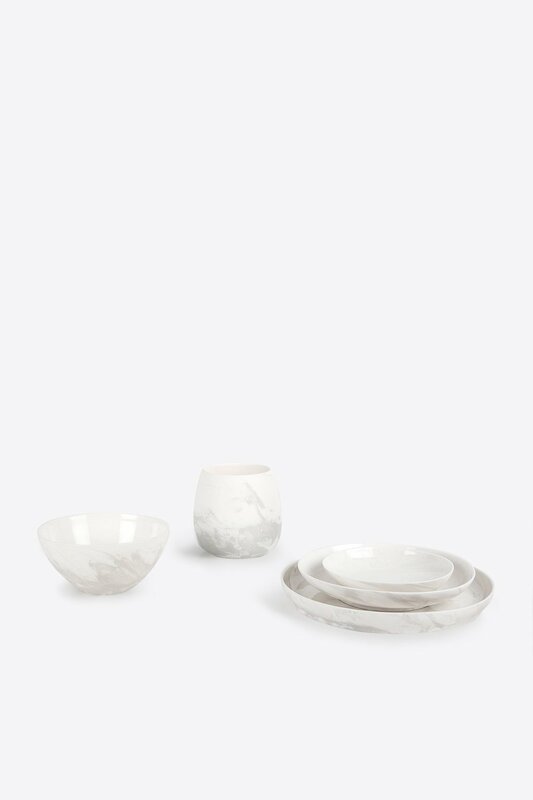 The unique marbling means no two pieces will ever look the exact same. 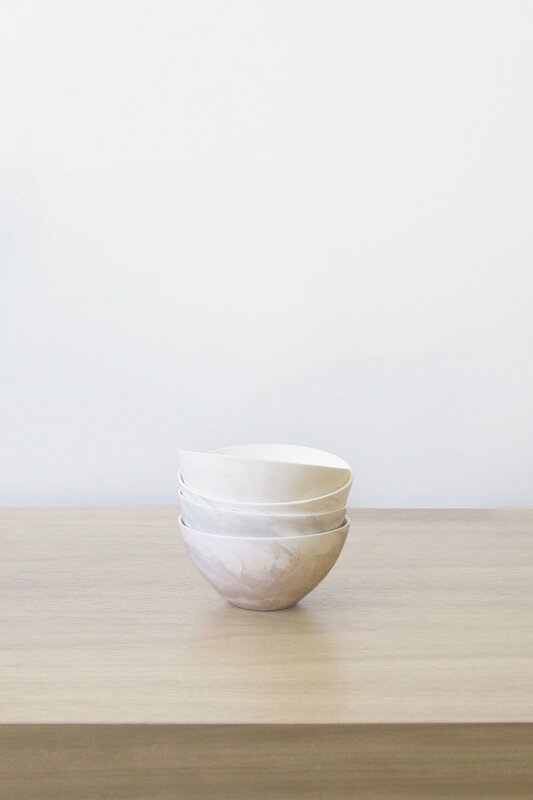 Add to your home for a minimal and elegant aesthetic.